Shirts With Random Triangles: Iowa St. adds three-star OLB prospect Gerry Vaughn to its 2018 recruiting class. Vaughn took to Twitter to announce his commitment. 247Sports grades Vaughn as a composite three-star outside linebacker prospect. The recruiting site's 2918 rankings place Vaughn at no. 102 among OLB prospects, at no. 141 among prospects from the state of Georgia, and at no. 1531 in its composite national rankings. 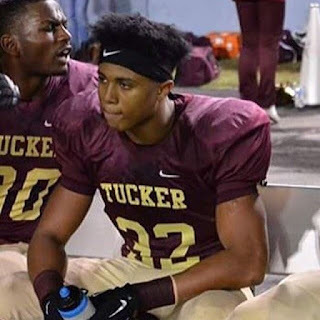 Vaughn attends Tucker High School in Tucker, Ga. He stands 6'0, and weighs 210 lbs.